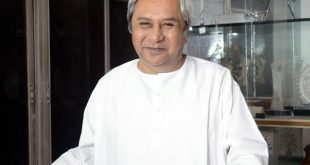 Bhubaneswar: Odisha Chief Minister Naveen Patnaik on Wednesday reviewed the preparedness in view of possible flood situation that the state might experience in a day or two. 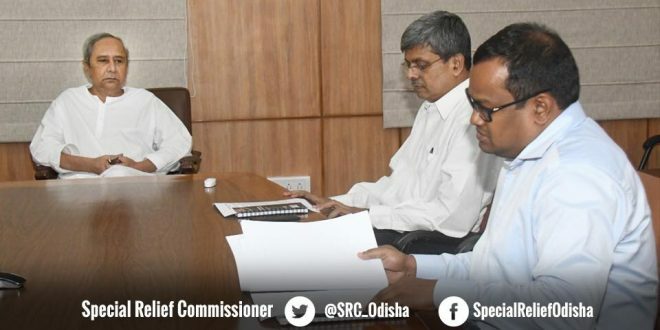 Chief Secretary AP Padhi and Special Relief Commissioner (SRC) Bishnupada Sethi attended the meeting. Considering the inflow from neighbouring state Chhattisgarh, 25 gates of Hirakud Dam have been opened on Tuesday releasing about 4.05 lakh cusec of water into Mahanadi. Taking into account the contribution from the tributaries downstream Hirakud, about 8.5 lakh cusec of flood water is likely to pass at Mundali any time between midnight and early morning on Thursday. This is likely to cause low to medium flood in Mahanadi river and its branches. 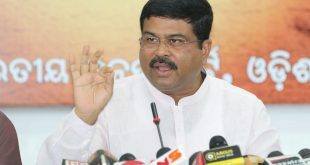 Eleven districts, namely Sambalpur, Subarnapur, Boudh, Nayagarh, Angul, Cuttack, Puri, Jagatsinghpur, Kendrapada, Khordhaand and Jajpur are likely to be affected by this flood. Collectors of these 11 districts have been directed to be in full preparedness to meet any eventuality. They have been instructed to see several works urgently including guarding of embankments especially at weak/ vulnerable points, identify habitations likely to be inundated and organise evacuation and keep the shelters in readiness and in case of evacuation organise food, safe drinking water, sanitation, light and health facility. 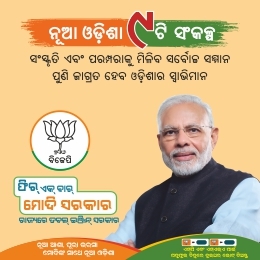 Three National Disaster Response Force (NDRF) teams have been deployed in the districts of Kendrapada, Jagatsinghpur and Puri and two Orissa Disaster Rapid Action Force (ODRAF) teams have been deployed to Jajpur and Puri districts. ODRAF units in Jagatsinghpur and Khordha are kept ready for deployment in the said respective districts. There are 198 boats of SRC under the control of the respective Collectors in these 11 districts. The boats with crew are ready for relief operation if any required. As many as 474 shelters have been kept ready, while the state government is closely monitoring the situation.